AshleyNewell.me: Have You Seen This? Every month SCS has a Cause of the Month. The ever adorable Taylor Usry organizes this. 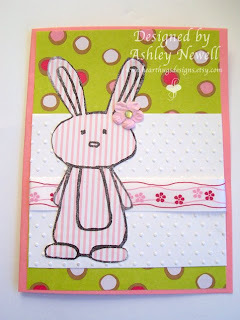 The purpose is to use our talent as card makers to spread joy to others. Seriously, a lot of my cards just sit. BUT they shouldn't! They should be out spreading joy! Patrick Henry Boys and Girls Plantation is a residential child-care ministry for boys and girls between the ages of 6 and 17 whose purpose is to offer a haven for children from turbulent domestic situations. They focus on prevention, and reach out to disadvantaged children before they are scarred by neglect or abuse. Subscribing to the old adage that "an ounce of prevention is worth a pound of cure," they focus resources on reaching children in the early stages of dysfunction, before the ill-effects of their troubled home-life can leave an indelible mark on their young lives. So, if you have extra cards in your stash or want to make some new ones, please send them along to this special cause. Personally, it's one of my resolutions this year to try to make a difference with my paper crafting since those are two of my passions. For more info, click HERE. This is super super cute! I was reading that yesterday, and this is a good cause.